Putting its huge subscriber base to broader use, Reliance Jio has made an entry into the loan sector. Reliance Jio has partnered with Axis Bank and a loan aggregation platform ‘RupeeBoss’ to fan the service. The telco has developed an AI-assisted chatbot called ‘The Loan Genie’. It will be integrated directly into the MyJio app. Many of you must be wondering how does ‘The Loan Genie’ chatbot function? Well, it is a video call based bot that serves the consumers with loan-related queries. The chatbot interacts and engages the users by presenting them with the required information. It also allows users to apply for the loan within the platform. It is not the first time when a chatbot is being used for loan applications, established loan providers like the Bajaj Finance also have a chatbot in place that allows loan seekers to apply in a jiffy. In a statement, Prasannaa Devadigga, Head- Product & Online business, RupeeBoss clarified that Reliance Jio provided the technology while it is developed and sponsored by RupeeBoss and Axis Bank, respectively. He further stated that the videobot has a database of around 13,000 questions based on various financial products and services offered by NBFCs and banks. Devadigga further revealed that the functionality of The Loan Genie is quite simple. 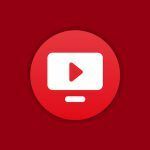 A user just needs to ask questions, and the bot will fetch the most relevant answers assisted by a video from the database. It will also take feedback from the users. If a user is not satisfied with the service, then he/she can leave feedback to help RupeeBoss improve the product. Touted as a powerful AI-based platform for offering loan assistance, The Loan Genie also has an auto-learning feature to improve the accuracy based on the previous chats. Once the user is satisfied with the answers presented by The Loan Genie, he/she can directly apply for the loan facilitated by RupeeBoss. Founded in March 2016, RupeeBoss is a fin-tech start-up boasting association with over 58 banks and Non-Banking Financial Companies (NBFCs). The start-up claims to have disbursed over INR 12.50 billion worth of loans during Financial Year 2017-18. Coming to the usage of The Loan Genie service, users will first need to download the MyJio app. 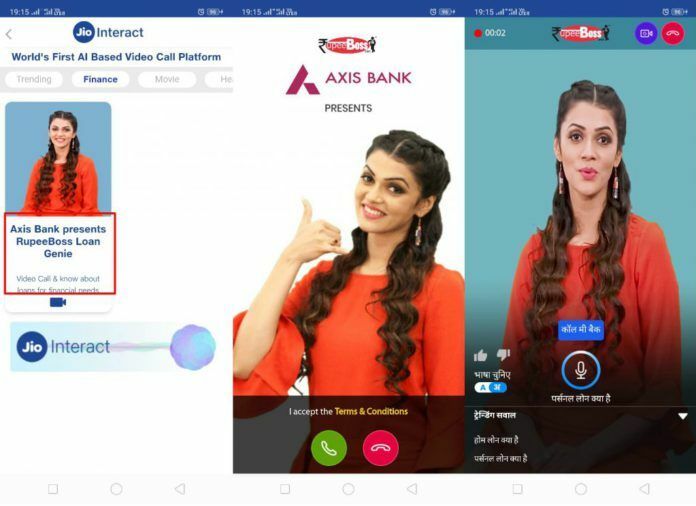 Once the app is installed, they will need to tap on the ‘JioInteract’ in the menu and begin the video call and chat process with actress Nimika Ratnakar. The service claims to assist across different financial services including Mutual Funds, Credit Cards, Credit Score, Retail loans, SME loans, Rectify Credit, and Elite Services. Like we said in the beginning, this seems to be a smart move by Reliance Jio as it is making a complete utilisation of its huge subscriber base. It would be interesting to see how the users benefit from the service and how well it engages the users within the MyJio app.